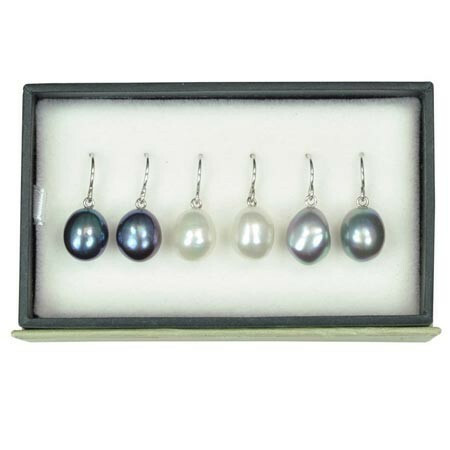 Black, white, and gray freshwater pearl earrings are all included in this gift set from Honora. This item gives you the luxury of choice. What are you waiting for? There's a pair of Honora drop earring for three days of the week in this gift set.